Programmes throw in flux by Britain's pending departure from the European Union (EU) include the Copernicus satellite constellation to monitor environmental damage, and the Galileo satellite navigation system. "It is not an easy situation at all, I can tell you. We are going through the options," Josef Aschbacher, director of ESA's Earth observation activities, told journalists in Paris. "What we have to do as ESA, we have to get ready for all these eventualities." Britain's EU-linked participation in both programmes will come to an end after Brexit, unless it negotiates a specific deal, the ESA has said. When this would happen, is not clear. But Britain will likely stay in the ESA, which is autonomous from the European Union. The UK is one of 20 EU members of the agency, which also includes non-EU countries Norway and Switzerland. The EU has forked out the bulk of Copernicus' budget of about seven billion euros ($8.5 billion) since 2002, though ESA also contributes. 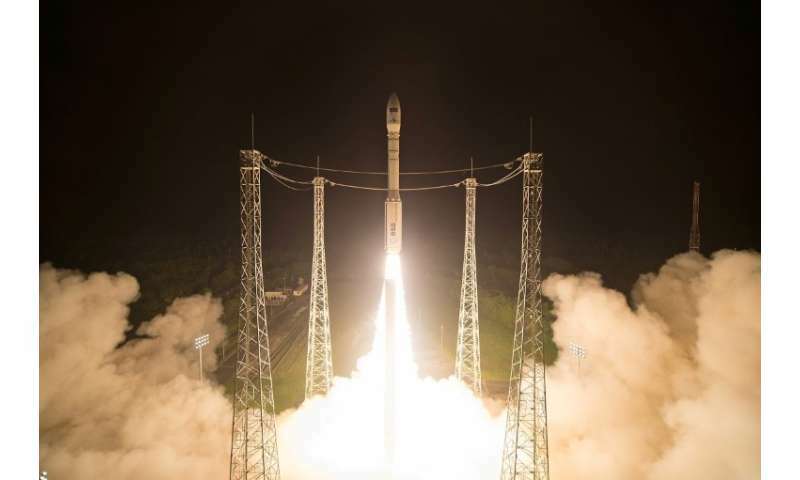 So far, Europe has launched six satellites for Copernicus, which is designed to monitor Earth's atmosphere, forest cover changes, land and water pollution, and the aftermath of floods and earthquakes. Copernicus will also improve emergency responses after natural disasters. UK-based companies hold contracts worth tens of millions of euros from ESA to supply hardware for Copernicus and Galileo—a rival to America's GPS which should be fully operational by 2020. According to Philippe Michel of ESA's Galileo programme, Brexit has thrown up "several situations" for which solutions must be found. These included "the issue of security" in a project that involves the sharing of military and other classified information between countries. "There are situations of contracts which have already been placed, there are situations of procurements which are ongoing, or future procurements... We are discussing of course all that with the European Commission," Michel added. ESA director general Jan Woerner insisted the agency was not "directly affected" by the British withdrawal, though "indirectly, we have some things where we are working on." They include visas, medical insurance, retirement plans and other complications that will arise for British staff in Europe, and continental workers in the UK, once the rules change under Brexit. "We are also looking in the discussion with the European Union, the European Commission, what happens with industrial activities coming from the UK," said Woerner. ESA's EU policy office head Jean Bruston has previously said Britain could contribute to Galileo and Copernicus if it negotiated a third-party agreement with the EU, as Norway and Switzerland have done. What will become of English in a post-Brexit European Union?